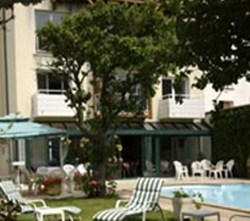 The Hotel des Thermes is located on the sea front of Luc-Sur-Mer in France. There is a beautiful view of the English Channel's changing colours and tides from the restaurant, bar and rooms. For your further enjoyment the Hotel is near the Thalassotherapy Centre and the Sailing School where children can be initiated in the art of sailing. The Hotel des Thermes is Classified 3 stars, with 48 comfortable rooms offering a splendid view over the sea or on the quiet landscaped gardens. 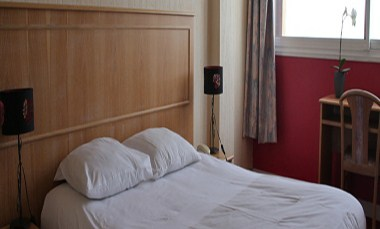 Some of the rooms have a small balcony. 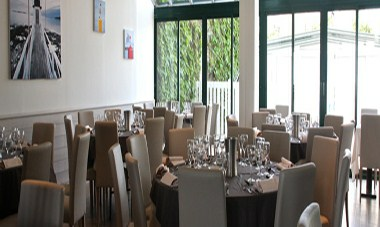 For businesses meals, a family celebration or a seminar, we offer private rooms.